Another year has come and gone and as modelers it looks like we all have a lot to look forward to as 2013 turns to 2014. Before that transition is over though let us take a minute to look back a little. The club seems to have held its own as far as membership is concerned and participation at the contest and the build up to it. A few folks have not been around as much as in the past, but that will happen with all clubs, what with family and business and health being what they can be today. Hopefully they will be back when time and situations permit. As with each new year modelers make their own resolutions, “I’ll finish that project I started three years ago in time for the show this year,” “I will finish six models this year,” “I will attend at least three out of state shows this year,” and on and on. But, just like the resolutions others make to lose weight, or read more, or workout more, modelers resolutions seem to slip away somewhere between February and May and are forgotten totally by July or August. How many of you finished that “special” model for a big show? Did you pull an old project out of the closet and finish it after leaving it set for untold months or years? How many of you took the time to visit another club and support their contest? As the shadow of 2014 begins to darken the door we can look forward to many different shows, both on the IPMS and the AMPS fronts, starting with the IPMS Region 3 Regional Convention in Chattanooga, Tennessee, January 10 and 11. Then two weeks later, January 25, there is CALMEX 28 in Westlake, Louisiana, where you can enjoy some great eating and some great models. That is just the start. The IPMS Events Calendar shows from one to as many as four contest every month within driving distance of CASM. 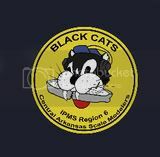 For any of you that might be interested the Region 6 Convention will be May 25 and 26 in Wichita, Kansas and IPMS Nationals are at IPMS Tidewater in Virginia Beach, Virginia, August 6 thru 9. Of course the new year isn’t just about upcoming contest, we also have a lot of new releases coming our way. Granted some of these releases are actually re-releases of kits that may have seen the light of day for the first time from two to forty years ago. All manufacturers do this, no matter if they specialize in automobiles, aircraft, monsters, or armor. Some of the “new” releases promised for release in 2013, from one manufacturer or another, but never made it to production lines and were pushed back to 2014. Some of these kits are available in Asia and parts of Europe, but they never quite got to the US hobby shop shelves. I’m willing to bet some of these releases are on your list to acquire in 2014, or maybe hope to find them under the tree at Christmas. I have mine picked out already, but sometimes, like resolutions, those things change. CASM members and other modelers from central Arkansas display their models at Arkansas State University-Beebe Gallery. The art show is available for viewing from 1/13/14 to 1/24/14 and will end the evening of 1/24/14 with a reception at 6:00 PM where modelers will share their viewpoints on the process of modeling and answer questions from ASU students. The gallery and reception are open to the public and is located on the Arkansas State University-Beebe campus in Beebe, Arkansas. The photos below are of the set-up for the show.